Finding these delicious morsals... Mini Oreos!!! After making the Mini Oreo Cheesecakes, I just had to make them again using the above beauties on the top... this time I made an uncooked cheesecake version. Delicious!! i'm lovin' all the color!!! 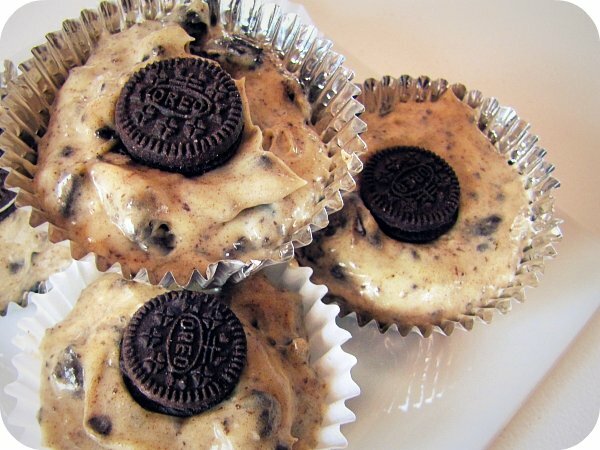 the oreo cheesecakes look sinful. ; ) i've made some like that before and gained two pounds. but totally worth it! I love the fact that you can portrait the simple things so beautifully . loving your doggy and cat all snuggled up! 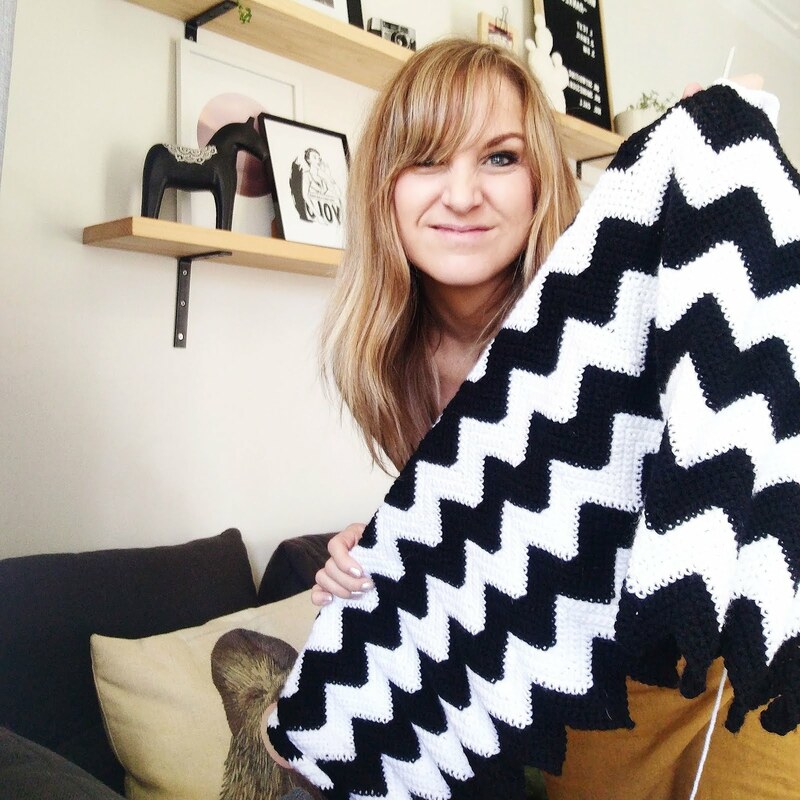 oh oh, can i see an mini oreo inspired granny rug coming up! They look fab with the mini ones on top!! And the photo of Boo and kittyCat made me laugh out loud. So, I don't think you realize how many things I can "pin" from your blog onto my new Pinterest boards. You take awesome pictures. But I'm pretty sure I've told you that already. I need to take more pictures and join you on this meme...so fun! Oh my, those Oreo cupcakes look divine! LOVE the cat and dog...something like our chickens & dog! The fish & teeth are toooo cute. Mini Oreo's are the bees knees! Love Oreo Cheesecake too. 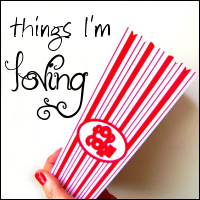 I am loving your whole list. The Bunnies look gorgeous. Love the post of your Cat and Dog - awwww. 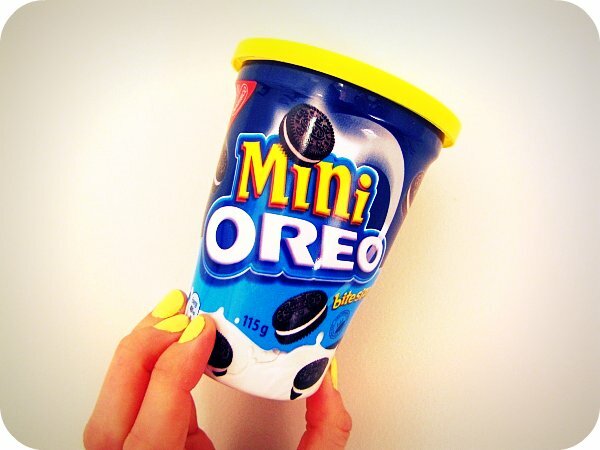 I'm loving the Mini Oreos too!! Love how bright and cheerful this whole post is! Those mini oreos look fab - and the cheesecakes even better - I totally don't need ANY more tempting! Hahaha - false teeth on a stick! That made me chuckle! I'm loving your yellow nails. This is a great linky. This weekend I plan to get through and read some more entries. Thanks PJ! Love your photo of Boo & his friend... classic! 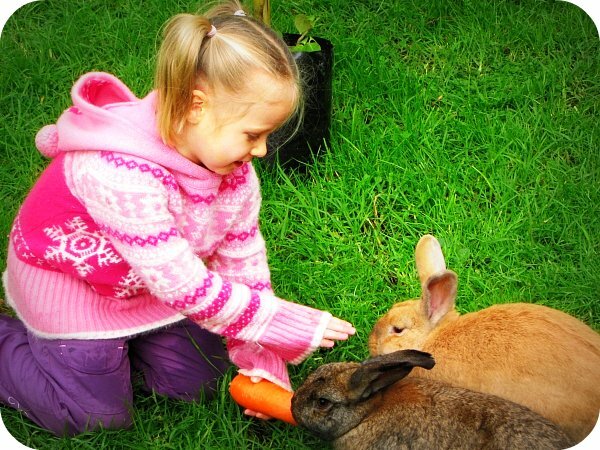 How gorgeous that you have runaway bunnies regularly come to visit! And LOVING all the colour on your post - your children are so super lucky to have such a great cup-cake baking Mama! 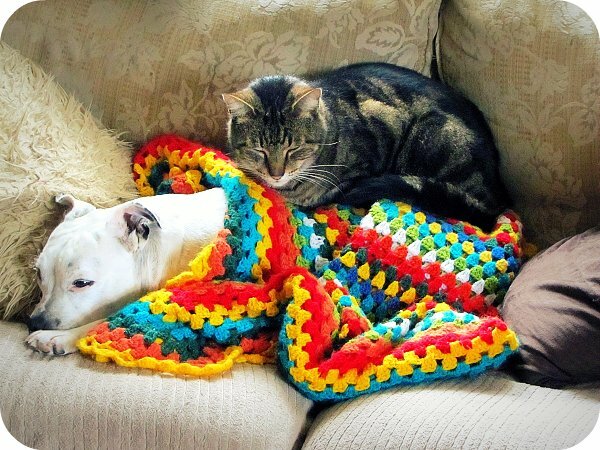 And your cat & dog cuddled up together all snug on one of your crafty creations is so cute! Gorgeous! Did you match your nail polish to the Oreo pack? ;) It looks awesome! 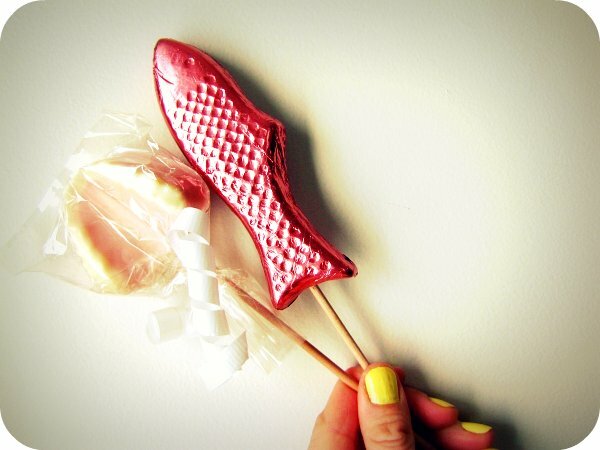 Love the teeth on a stick too, ha ha! Oreos really are my downfall, especially those mini ones. You can't tell how many you are eating as they are so small, you just think 'OK, just a few more', well I do anyway! 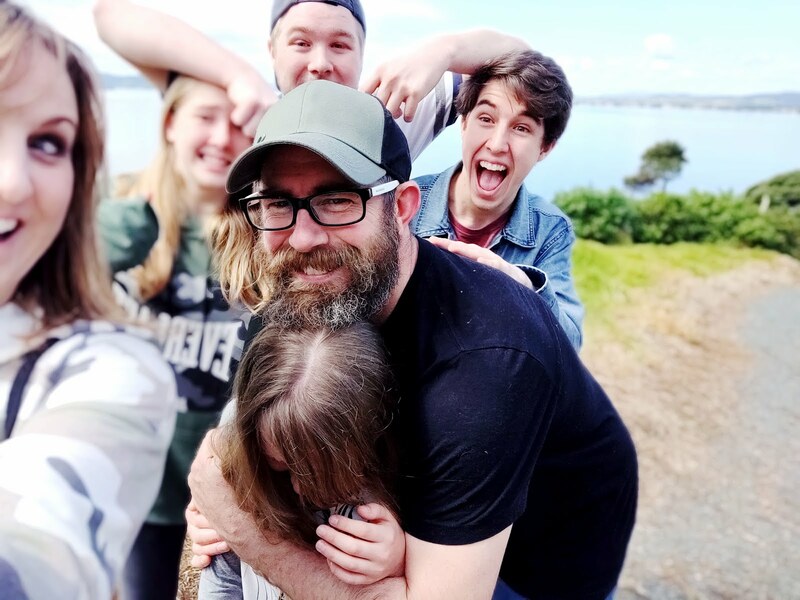 I finally got round to joining the VLOG-y fun this week. My grandpa would've loved those teeth on a stick! He used to chase us around the house with his dentures hanging out & clacking madly. So ♥ the dog/cat pic! Wish our two would get along. Mini Oreo's? Nice find! I love the cupcakes. 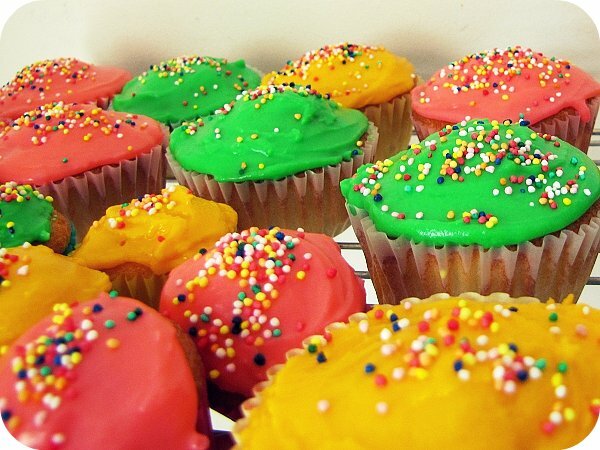 Baking can be so therapeutic for kids and adults! Your cuddle buddies are adorable all curled up! What a fun list of lovely things. Cat and Boo = cute!!!! loving your bright yellow nail polish and that funky rainbow granny blanket too!